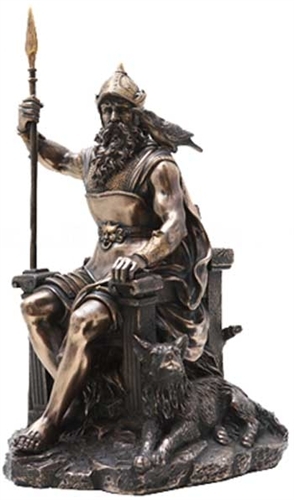 An impressive statue of Odin the All Father sitting upon his throne holding his mighty spear. A raven on his shoulder and a wolf at his feet. Cold cast resin. 12 1/2" x 7 1/4" x 6 1/2"